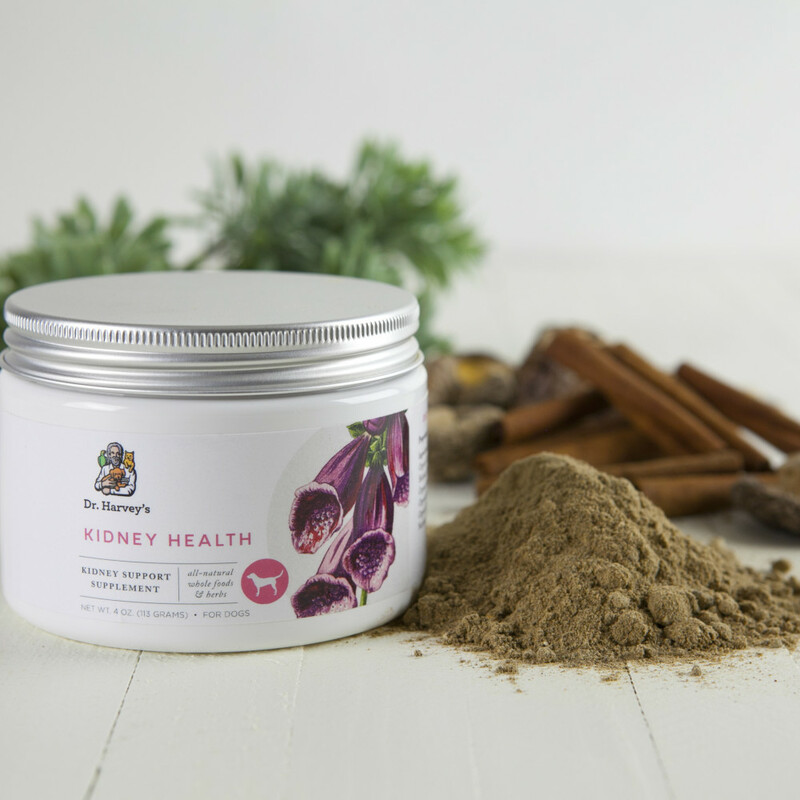 An herbal and mushroom whole food supplement designed to help support your dog’s kidneys. 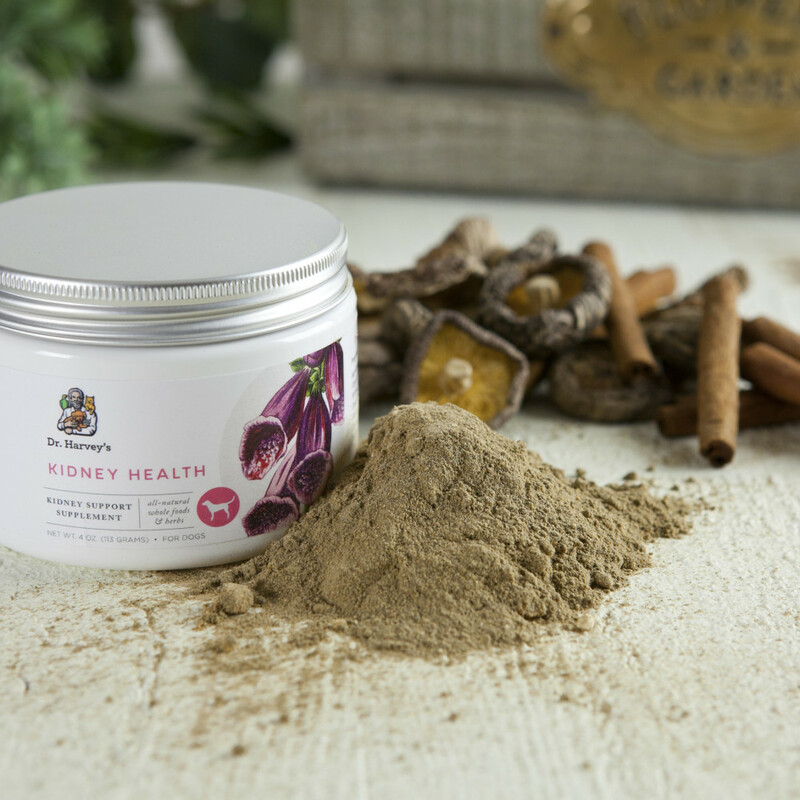 Contains Rehmannia Root, a Chinese herb used in traditional Chinese and Japanese medicine that helps support kidney health by strengthening the kidneys, strengthening the adrenal glands, and tonifying the blood. 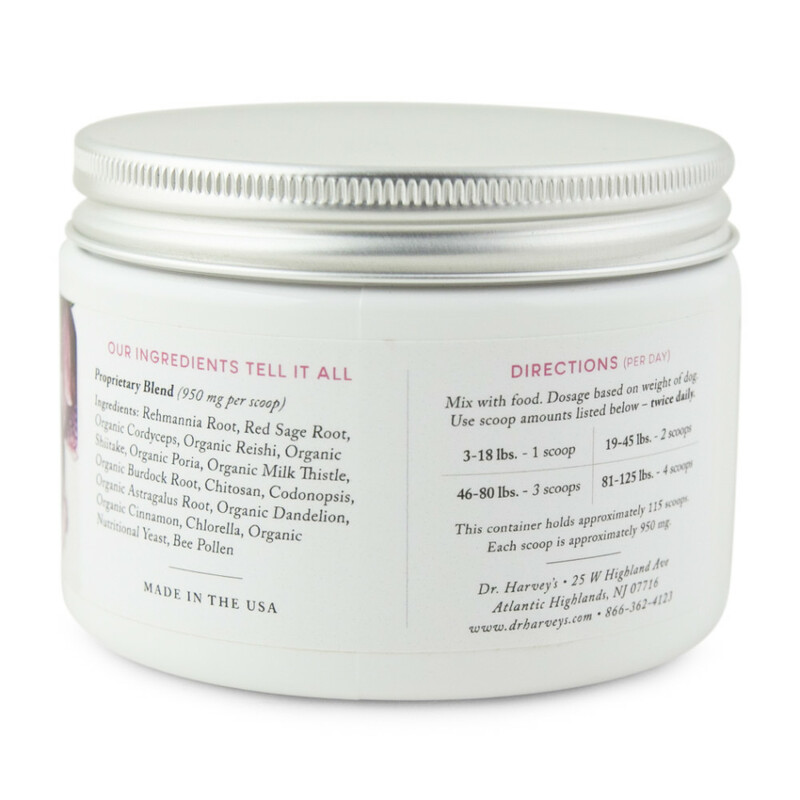 Contains Organic Reishi, Organic Shiitake, Organic Poria and Organic Cordyceps. All edible medicinal fungi (mushrooms) that are strongly anti-inflammatory and tied to longevity, better immune function, and mental clarity. Contains Codonopsis, an herb that works to boost the immune system to increase the body’s general performance in ways that help the whole body to resist disease. Codonopsis is also supportive of the kidneys and the urinary function generally. Contains Organic Astragalus Root, a well-known adaptogen (a unique group of herbal ingredients used to improve the health of the adrenal system, the system in charge of managing the body's hormonal response to stress) that helps reduce inflammation in kidney disease. 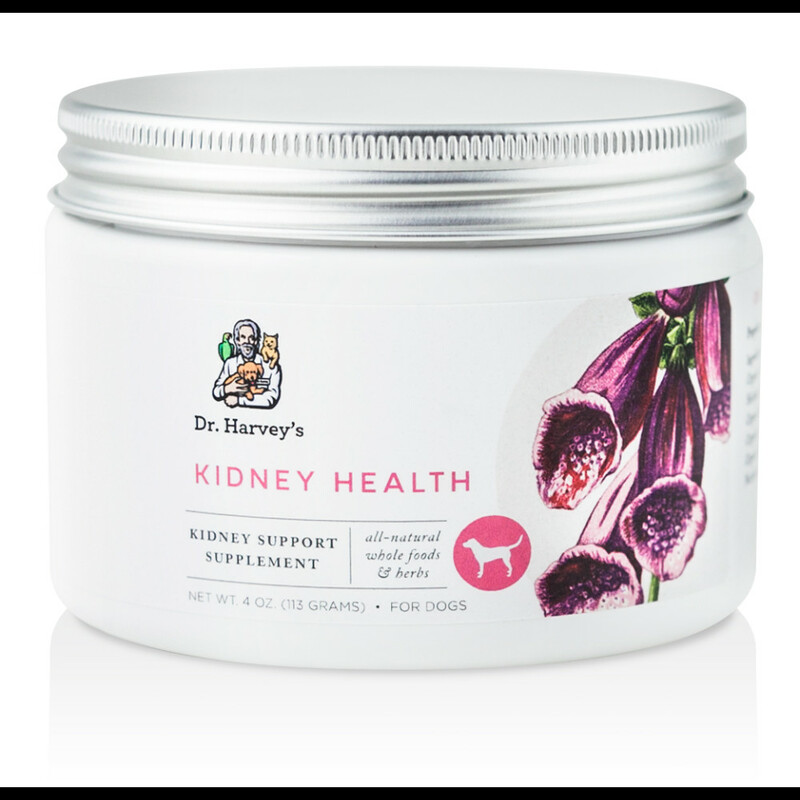 Dr. Harvey’s Kidney Health is an all-natural, safe, and effective herbal and mushroom supplement which has been specially formulated by Dr. Harvey to help support your dog’s kidneys. This potent and effective mixture of herbs and mushrooms works hard to support your dog’s kidneys. When used in conjunction with a pure whole food diet that is low in phosphorous and full of nutritional support, this supplement can help your dog to begin the healing process. Mix with food. Dosage based on weight of dog. Use scoop amounts listed below – twice daily. 3-18 lbs. - 1 scoop. 19-45 lbs. - 2 scoops. 46-80 lbs. - 3 scoops. 81-125 lbs. - 4 scoops.